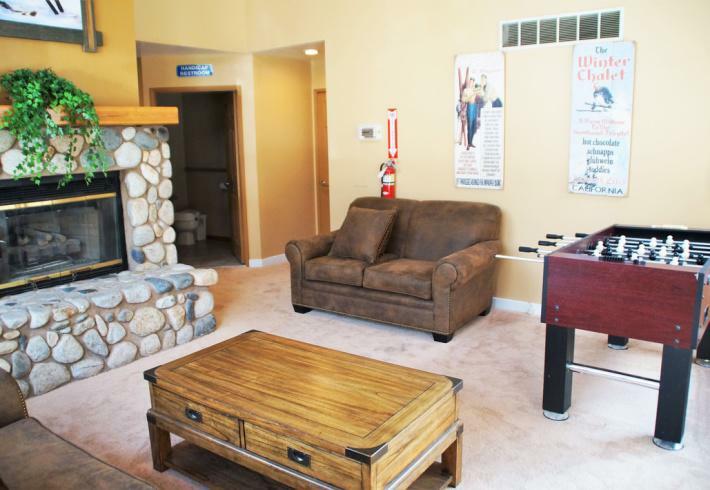 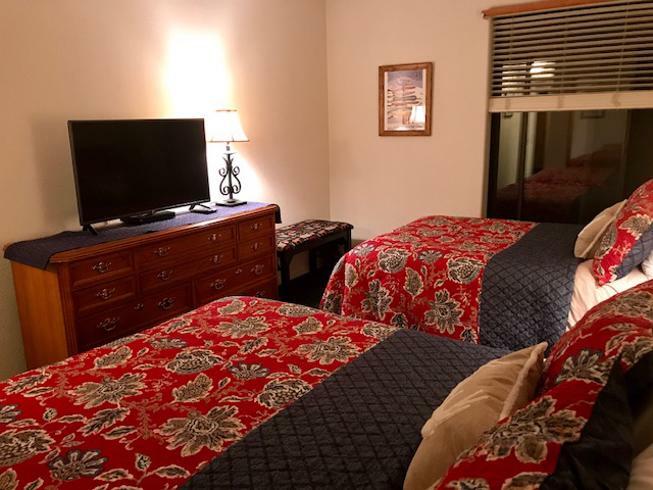 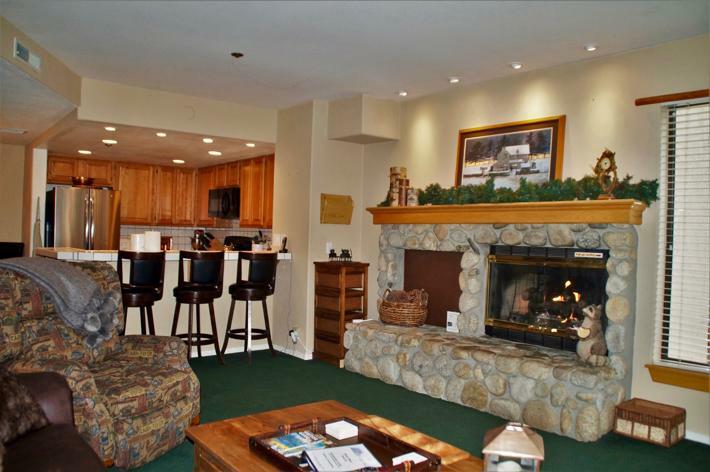 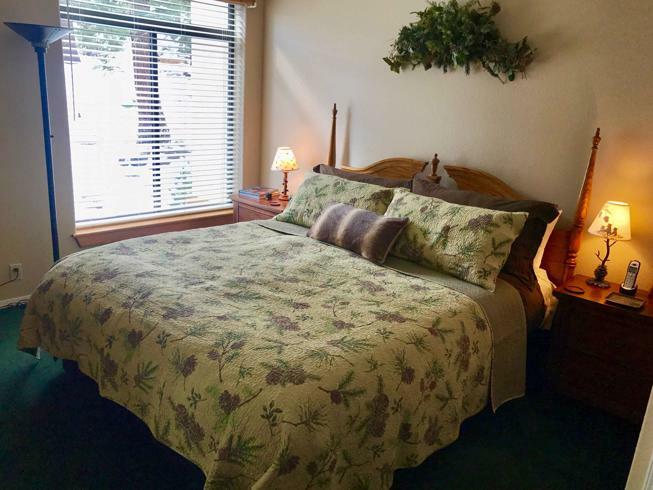 Enjoy a cozy lodge-like feel in this upgraded, spacious (over 1200 sq. 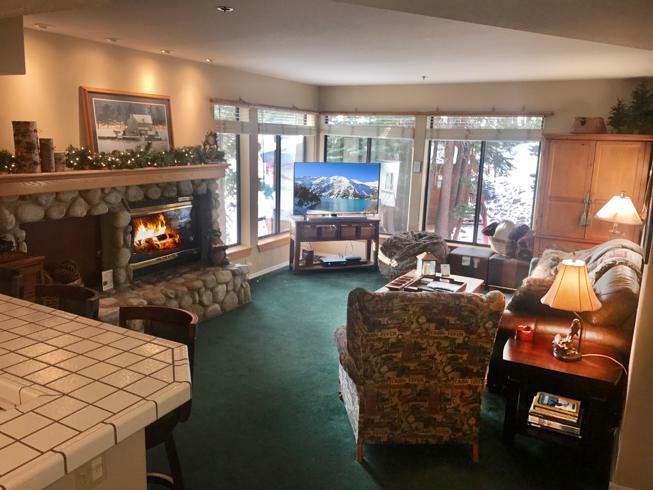 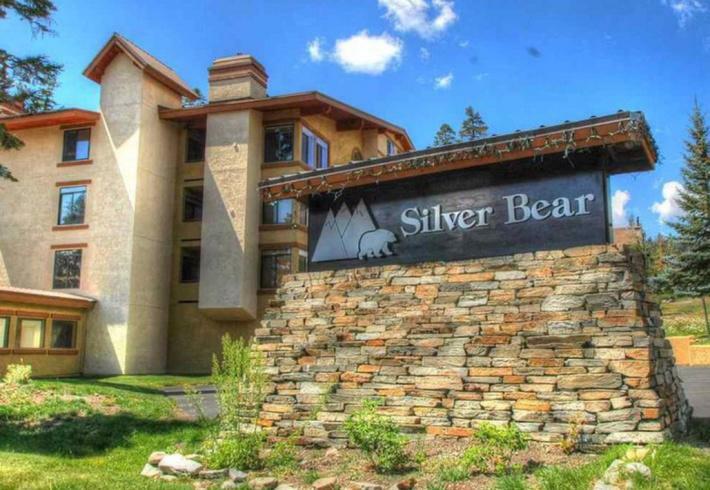 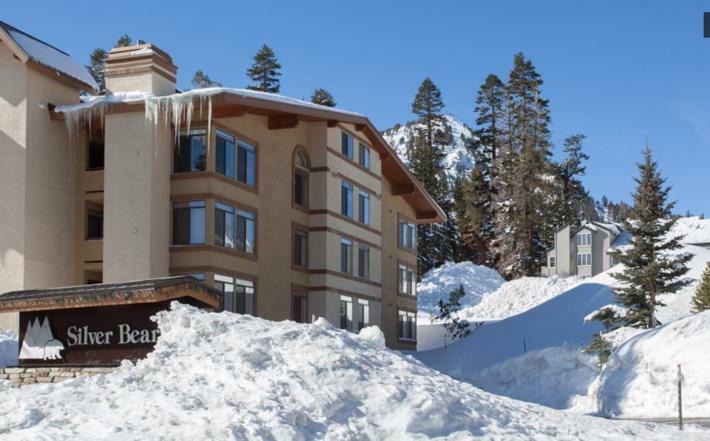 ft.) 2 bed/2bath condo just a few minutes walk from Canyon Lodge and the Village Gondola. 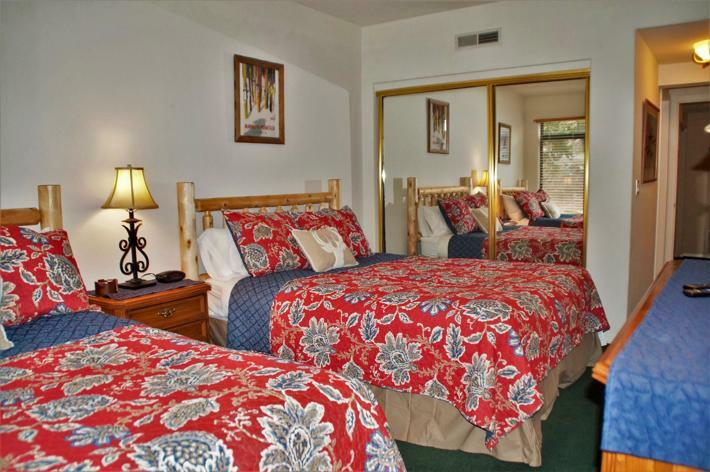 As a corner unit, it offers east and south-facing picture windows that look out to snowy trees. 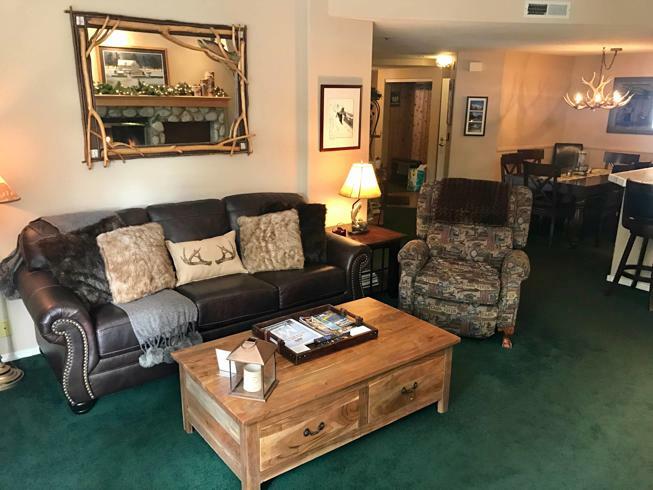 A new leather sleeper-sofa decorated with faux fur pillows and blankets, a relaxing upscale recliner and the push-button gas fireplace complete the picture. 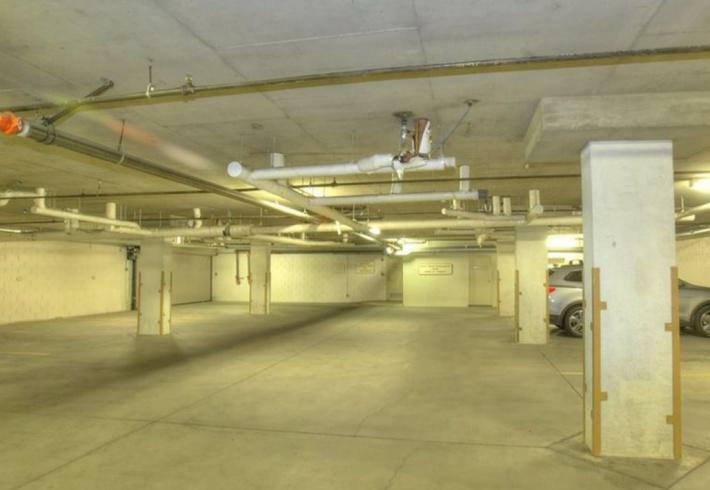 Secure underground parking for one vehicle is conveniently located near the elevator plus more parking is available in the lot in front of the building. 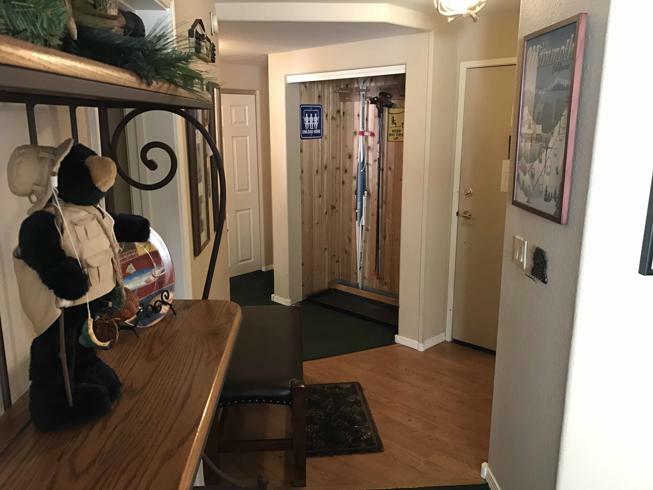 Once up the elevator it is just steps to the condo. 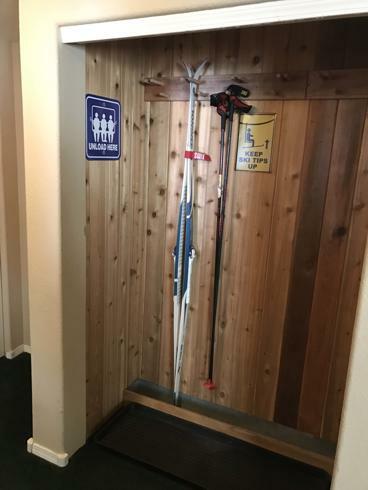 Luggage carts are even available if needed. 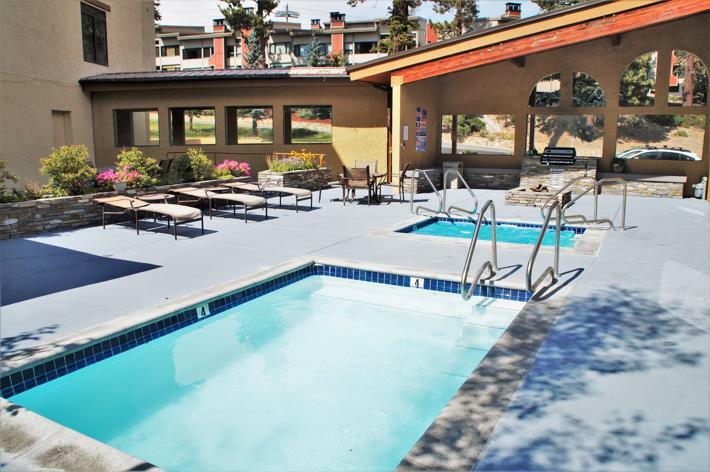 Keyless coded entry allows all occupants to have easy access in and out without having to share a key. 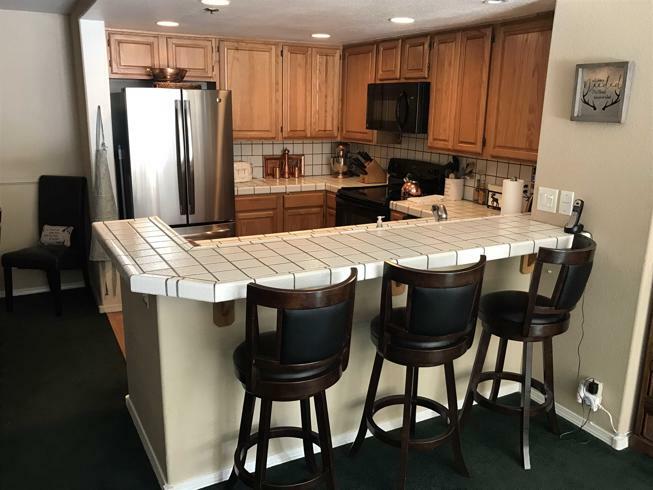 Kitchen is well-equipped with new appliances, dishes, pots and pans, spices, Ninja blender and KitchenAid mixer to make cooking and entertaining easy. 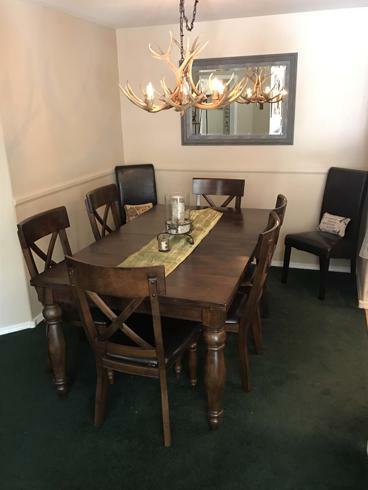 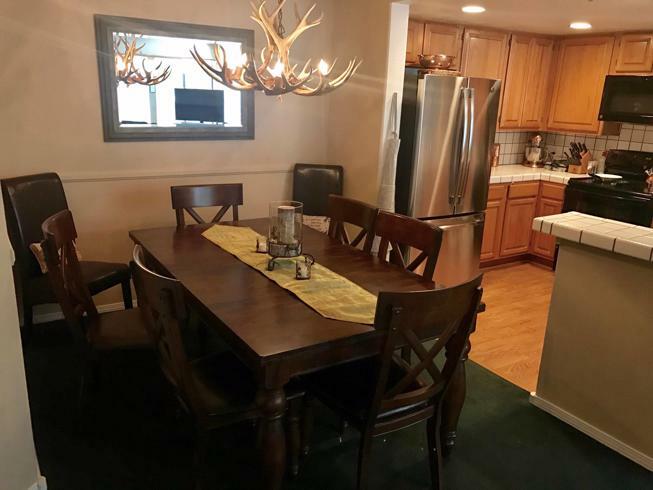 Dining area with antler chandelier seats 6 but can accommodate 8 with butterfly-style leaf and extra chairs provided. 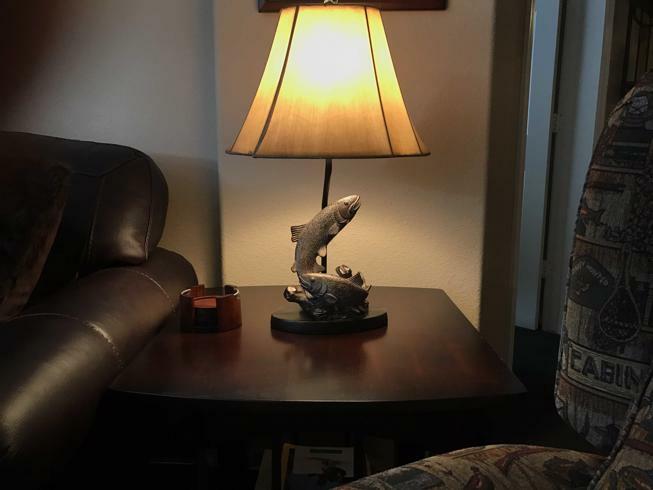 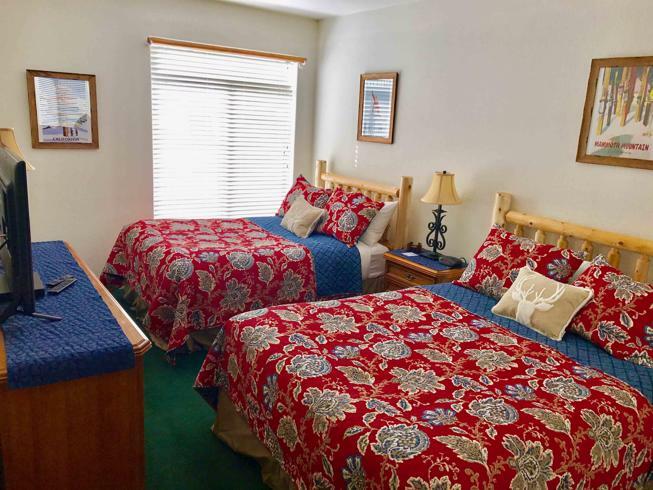 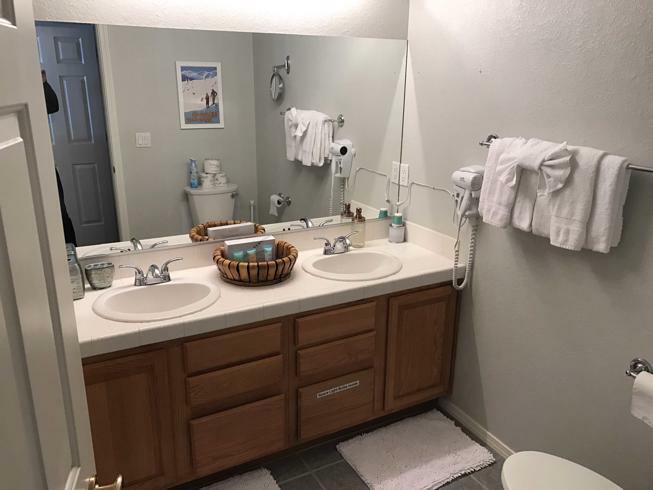 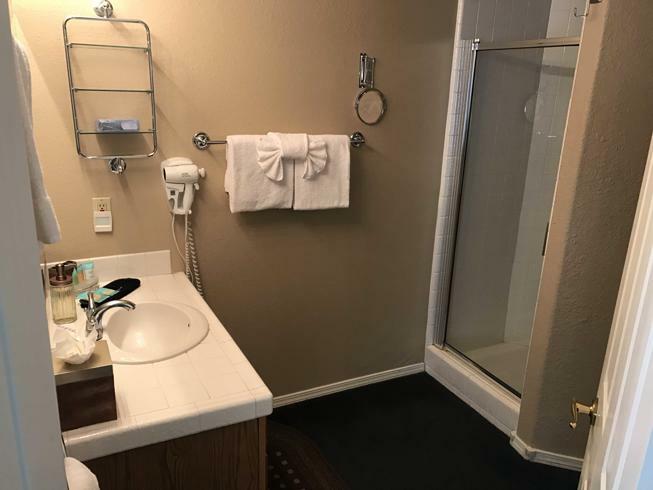 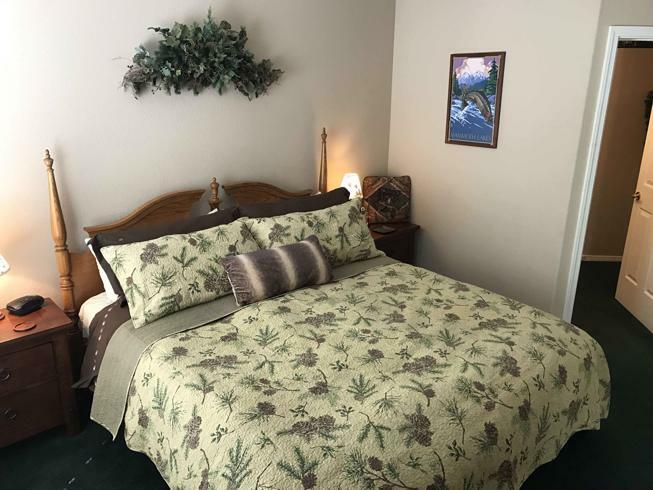 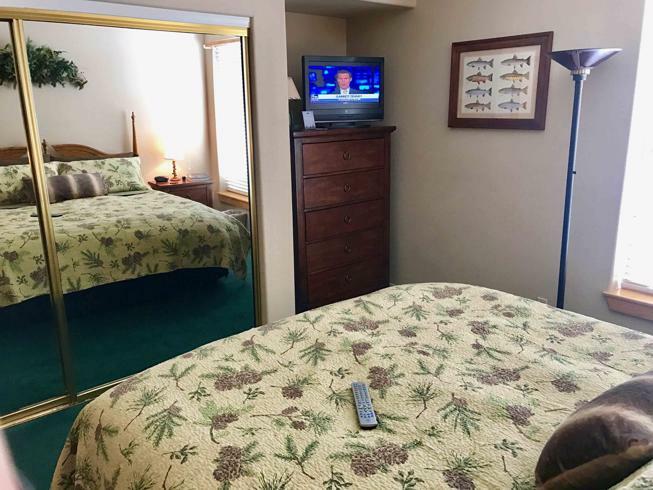 Wireless high speed internet (supports multiple devices), huge, curved technology smart HDTV, with blu-ray/DVD in family room, and large flat-screen TV's and DVD players are in each bedroom. 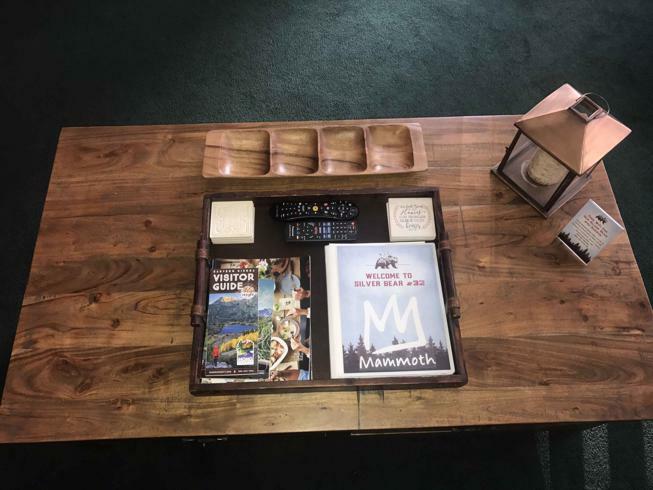 A broad selection of DVDs, books and board games are also here for your enjoyment. 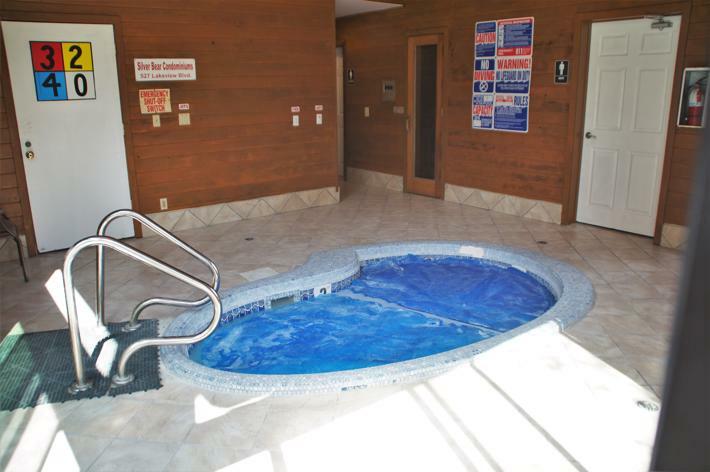 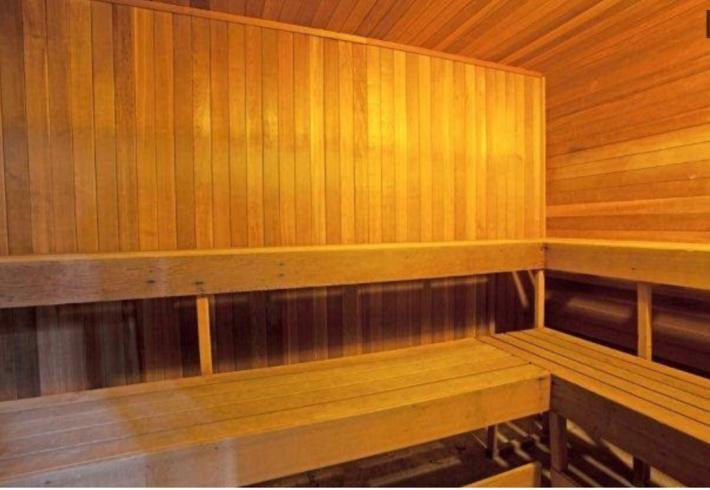 Year round indoor and outdoor spas and indoor sauna are nearby to relax you after a big day on the slopes or hiking or mountain-biking. 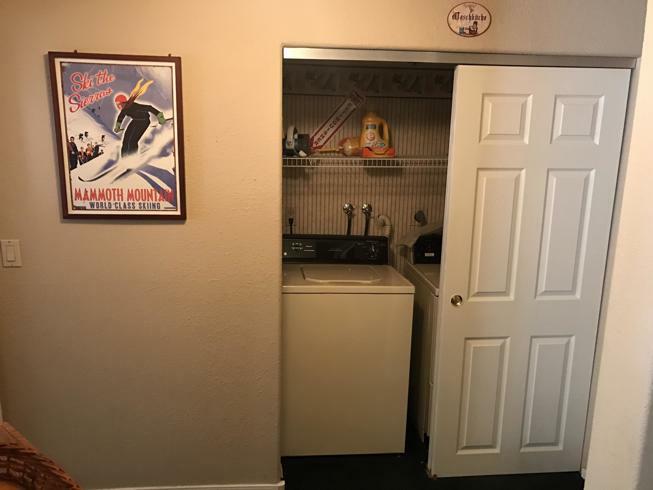 Convenient ski storage is in the unit as well as a washer and dryer. 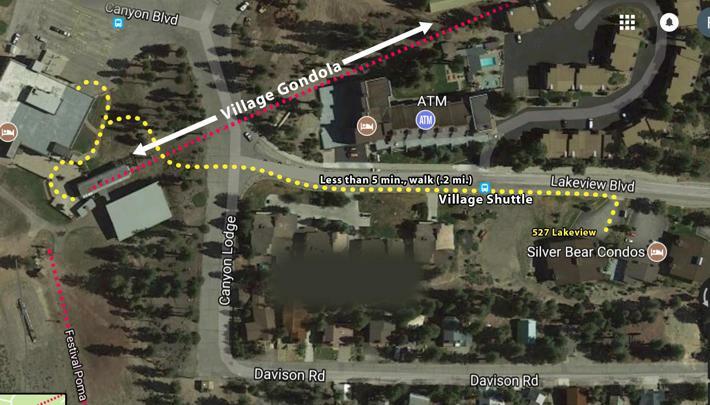 Easy access to the Village via the Village Gondola or the frequent shuttle which can be caught at the stop outside.